Hepatica nobilis, commonly known as liverwort, makes a terrific ground cover under evergreens. In early spring they send up beautiful blue flowers before the new leaves have even unfurled. The plant then forms a dense ground cover of lobed leaves that look fresh until the fall. If you have a few trees making a mini-forest, we highly recommend these perennials for that shady location. 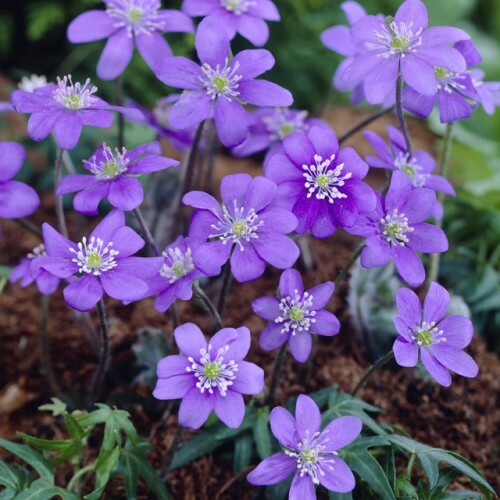 This plant has received an Award of Merit from the Royal Horticultural Society for its disease resistance, good constitution and stability of form and colour.